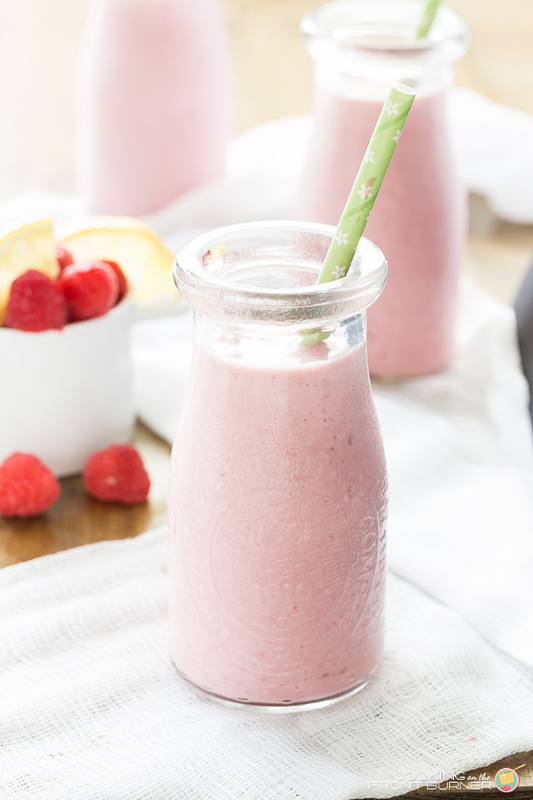 You will love this Raspberry Lemon Smoothie any time you need a quick pick-me-up or a way to start your day. 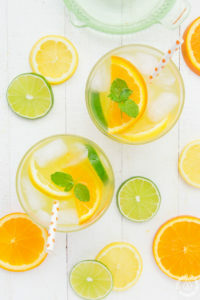 What do you reach for when you want to chill out and have a refreshing drink? Pop (or soda depending where you live), water, juice? 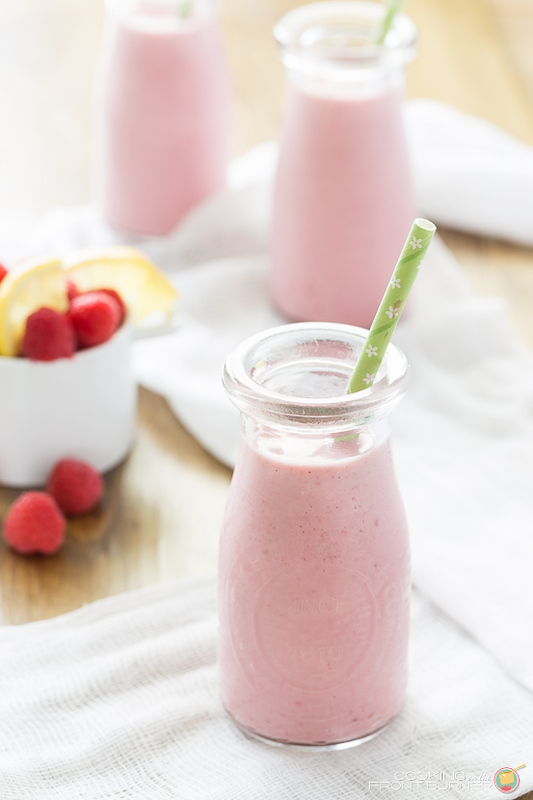 Well, give yourself 5 minutes to whip up a batch of these cool Raspberry Lemon Yogurt Smoothies. Up until recently I was a big diet Pepsi kind of gal. I would have about one a day and more on the weekends. I felt it gave me the lift I needed but then decided not really, because then I was searching for a salty snack to go along with it. Oh what a vicious cycle I was in. Well, that has all changed. I’ve mostly switched to water but when I feel I need an energy boost, out comes the blender and away we go….. 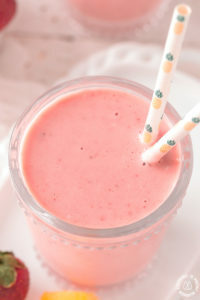 I love experimenting with different smoothie flavors and have found yogurt is a good base. For this version I added some coconut milk and had some frozen raspberries in the house. Any fruit would do so you decide how creative you want to be. Just be sure to whip up a batch soon! Oh and guess what, if you have some leftover, pour into popsicles molds for a frozen treat another day! That’s what I did. 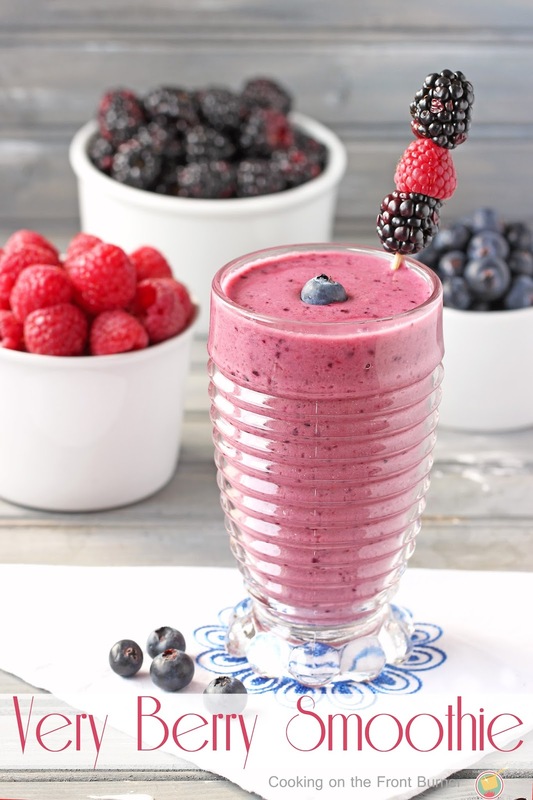 Another one you might enjoy – Very Berry Smoothie! Or this Pineapple Orange ! OHh.. that sounds so creamy and delicious Deb! Love this! SO Pretty!!! I'm dying for one right now…can you send it over! LOVE! This sounds perfect! I do not like dairy in my smoothies, so I am glad to see coconut milk in yours! 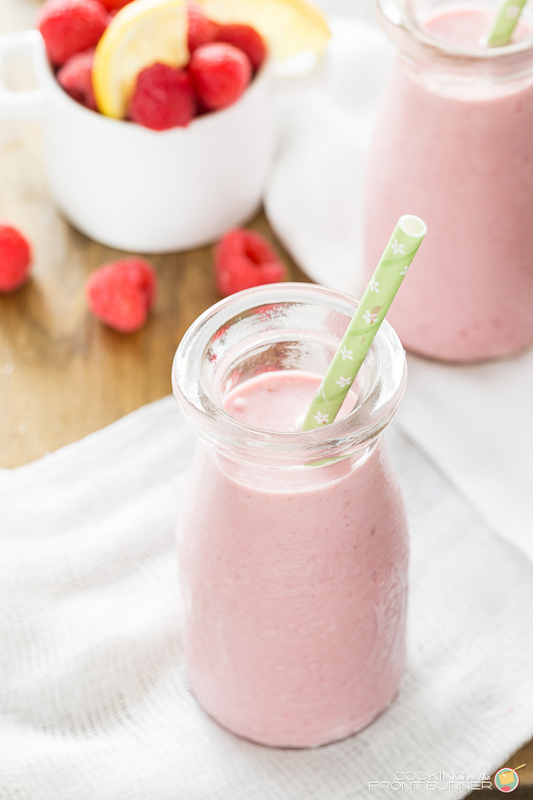 I love the idea of a smoothie with raspberries. I don't get enough raspberries and they are so good! 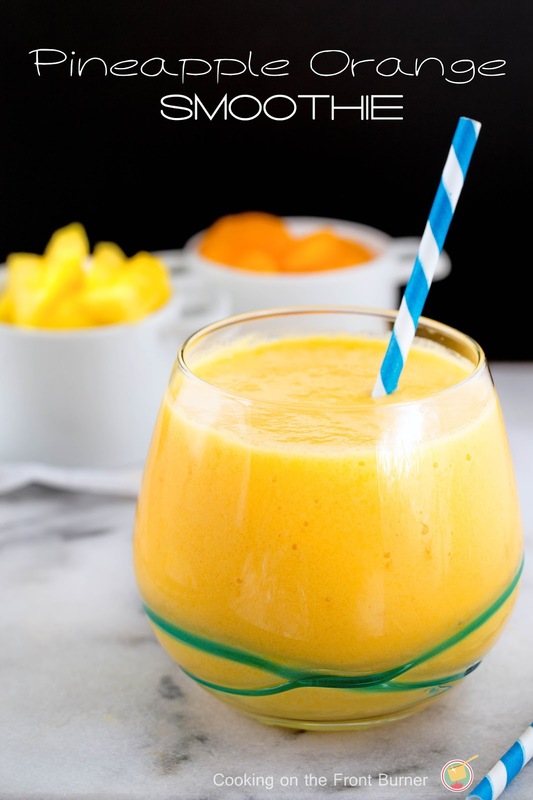 Love this pretty smoothie, Deb! 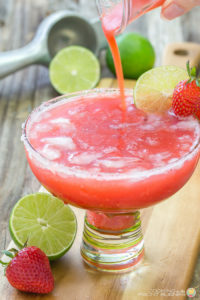 The raspberry, coconut and lemon sound so refreshing and delicious! This sounds wonderful! 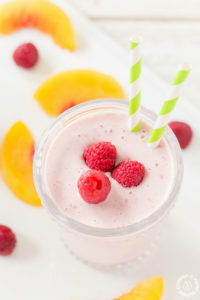 I love the idea of adding lemon with the raspberries!